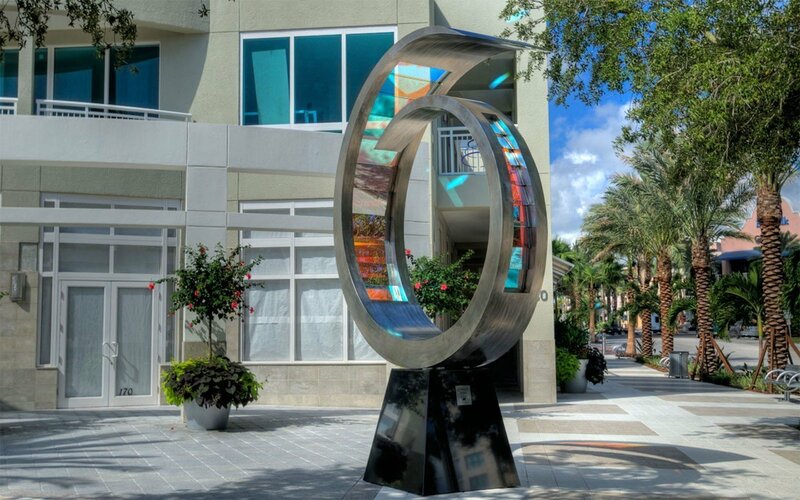 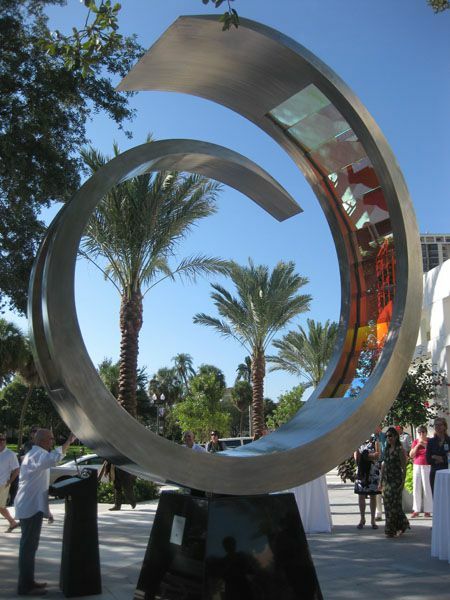 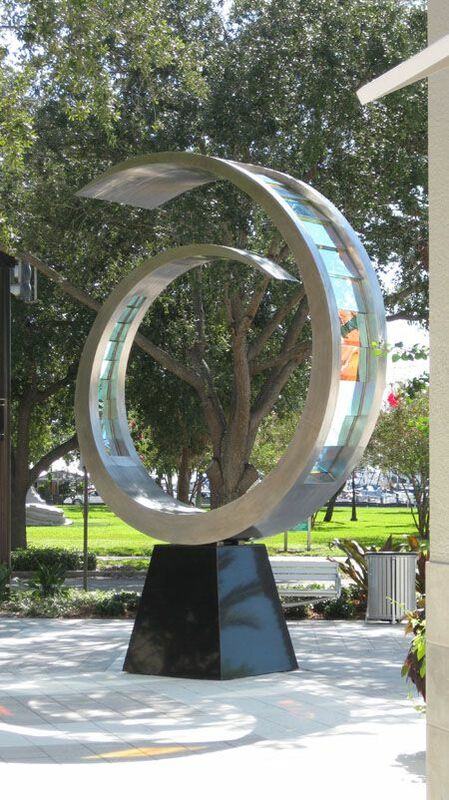 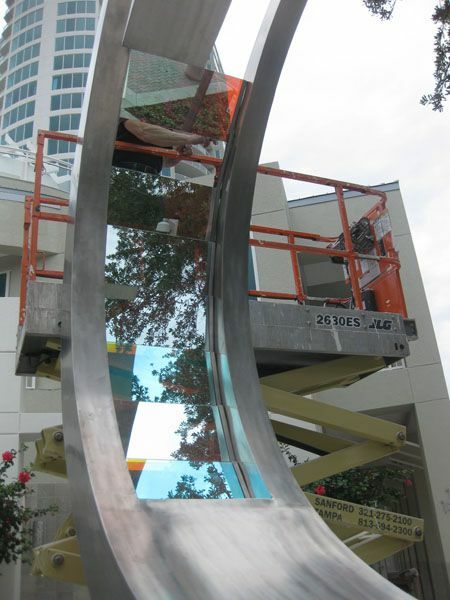 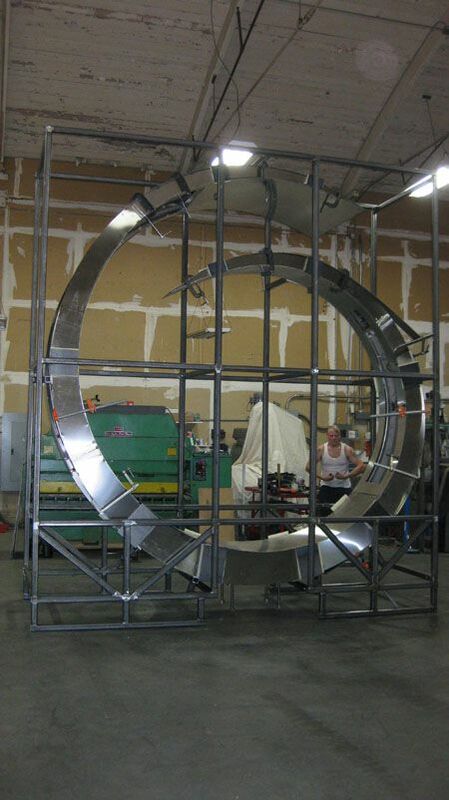 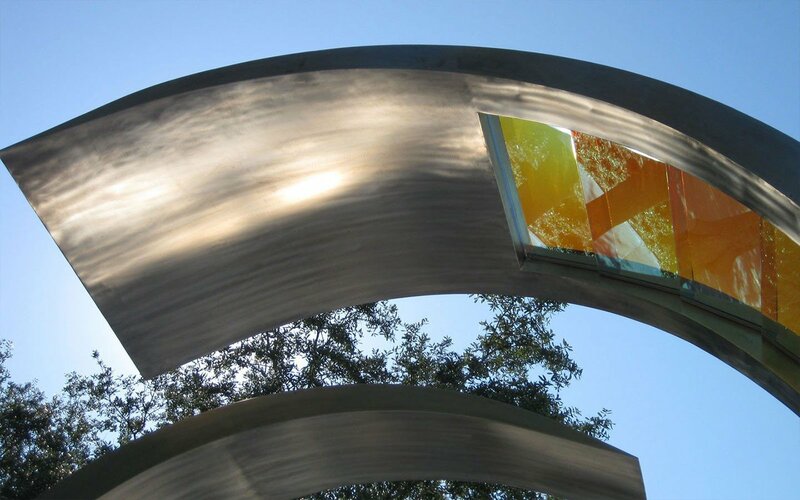 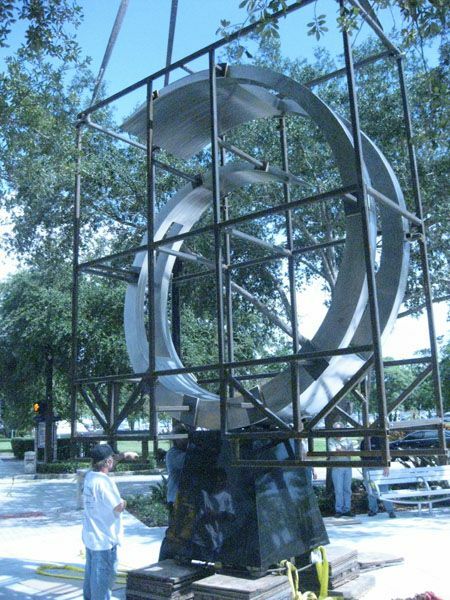 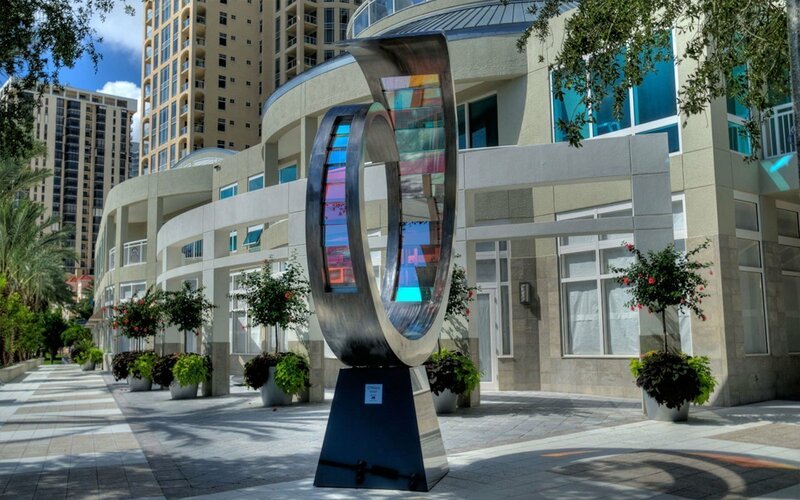 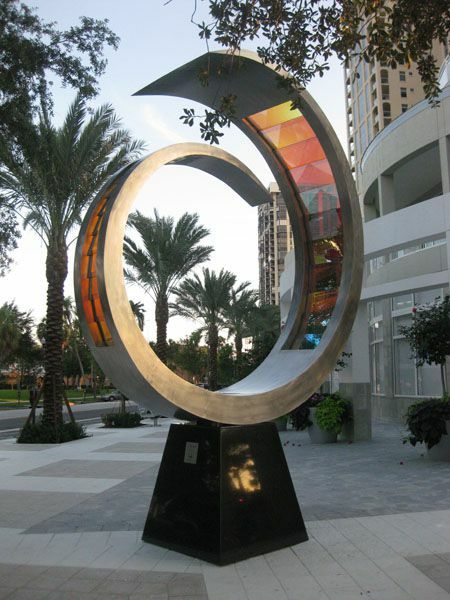 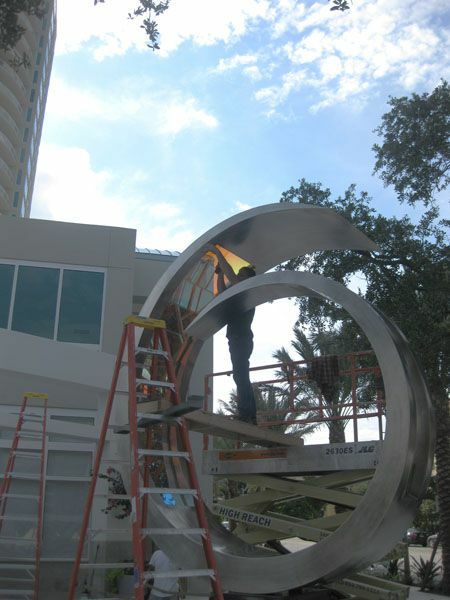 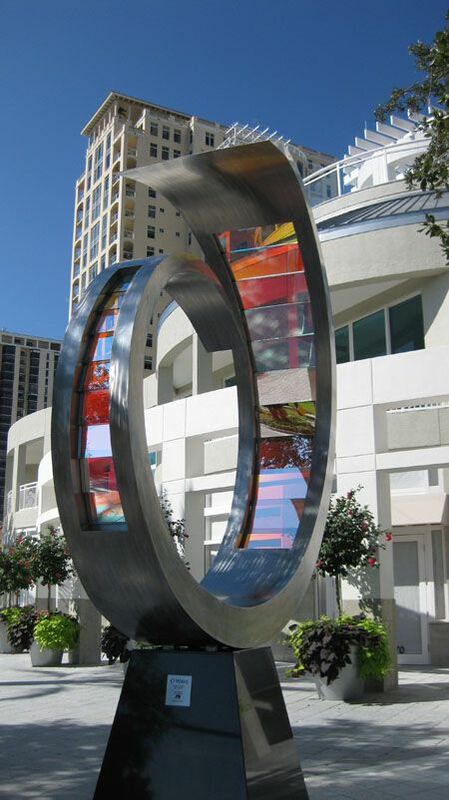 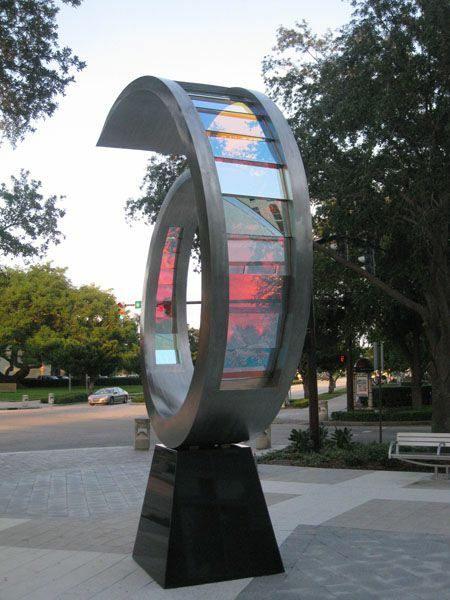 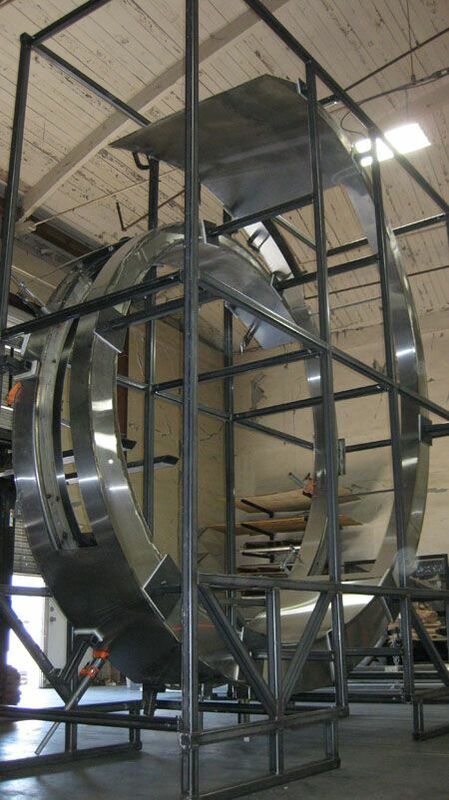 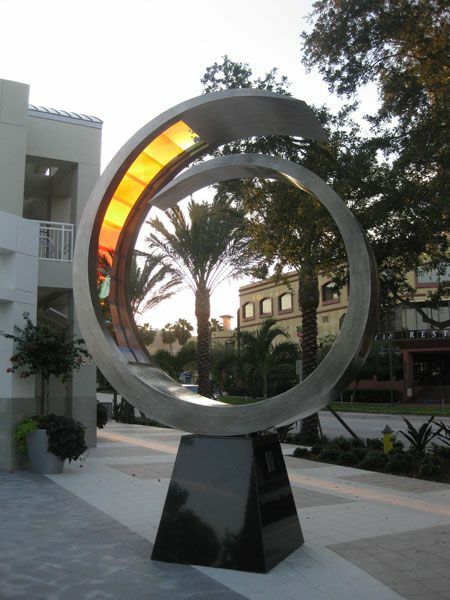 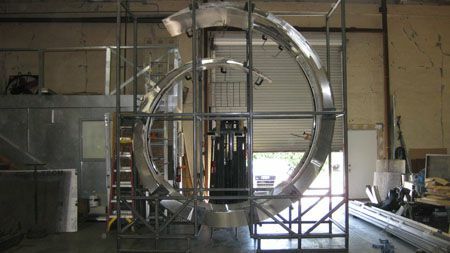 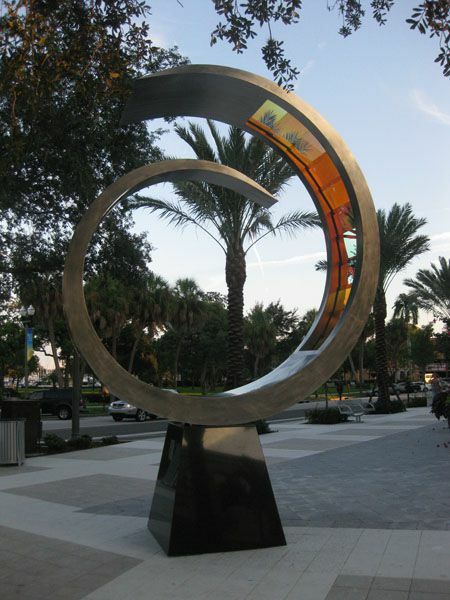 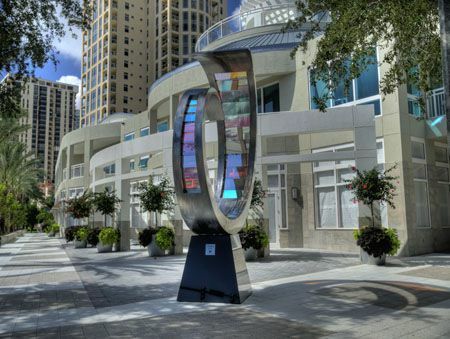 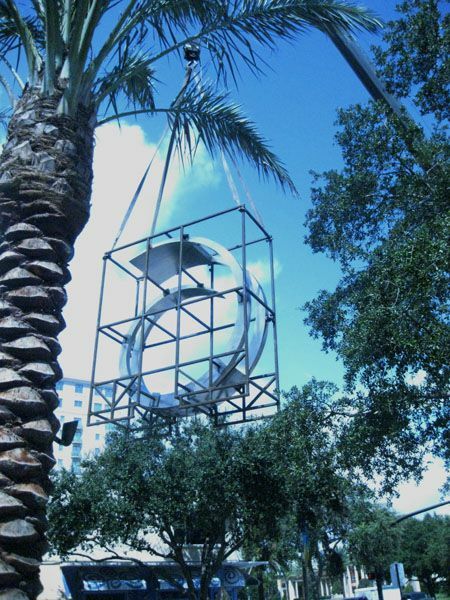 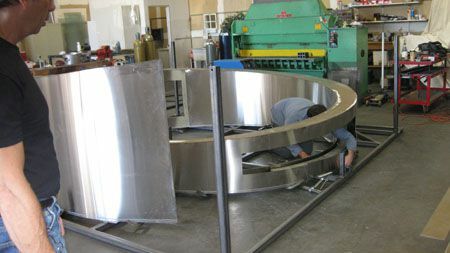 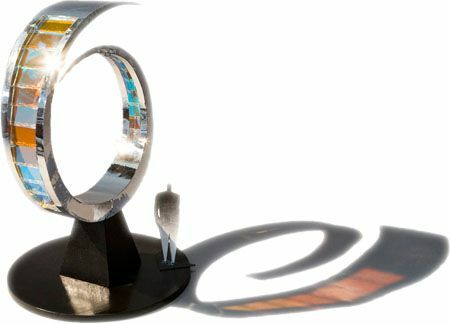 At once substantial and ethereal, O Wave is a circular stainless steel sculpture intended by the artist to convey a strong sense of movement, with an ocean wave turning in on itself to create an abstracted “O” for Ovation, downtown St. Petersburg’s luxury waterfront community. 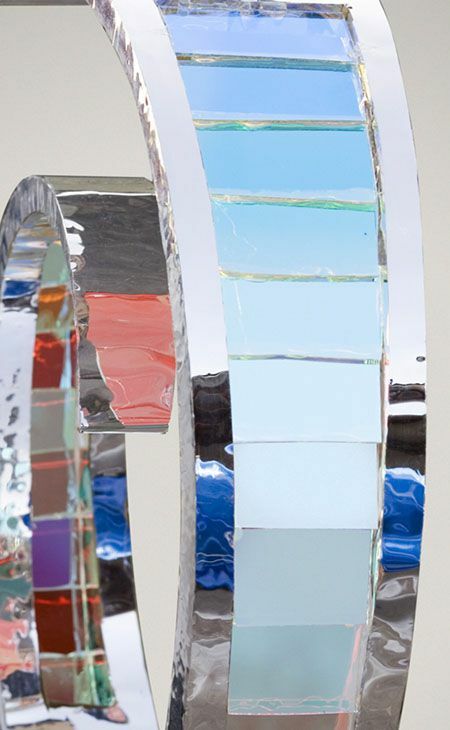 The colors and textures used in O Wave are meant to symbolize Florida’s Gulf Coast, with its ocean waves and dramatic beachfront sunsets. 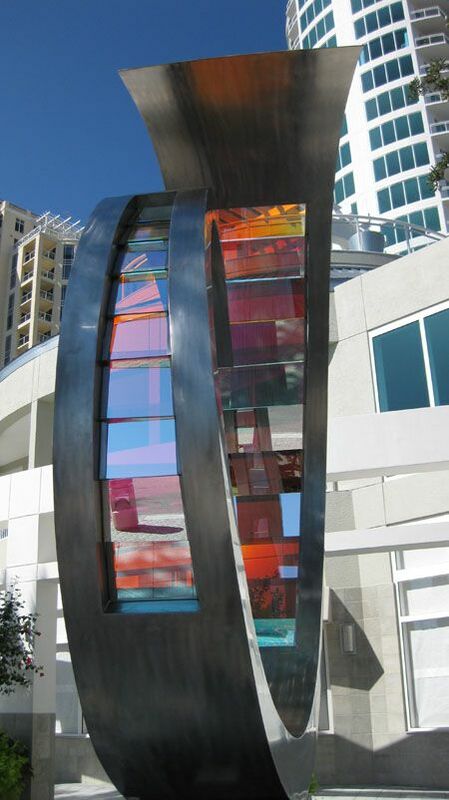 Colors vary according to the viewer’s angle of vision, and in direct sunlight, will project onto adjacent surfaces. 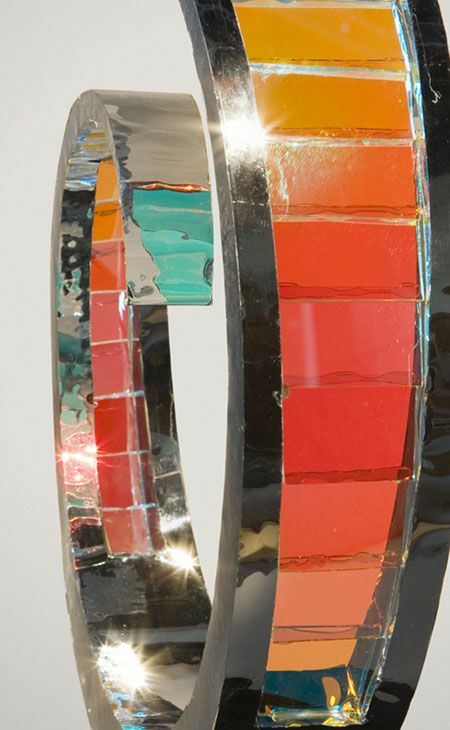 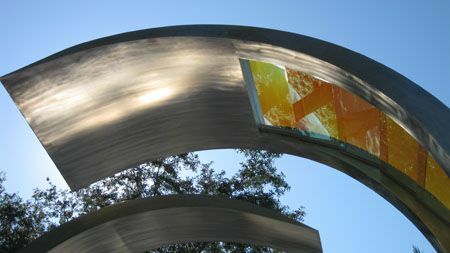 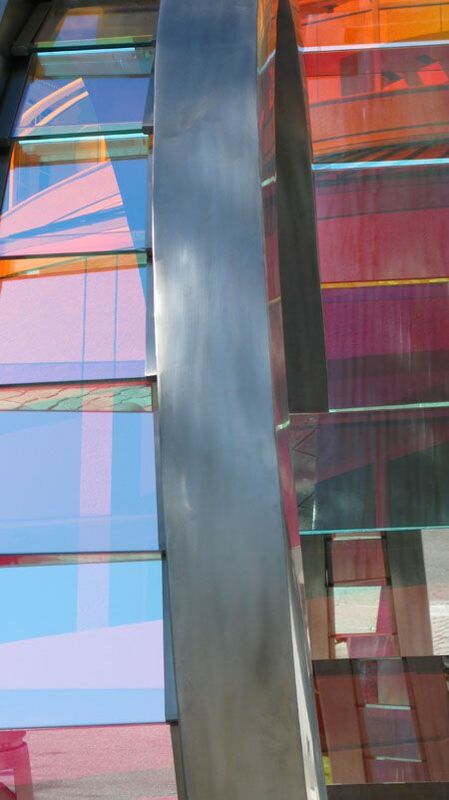 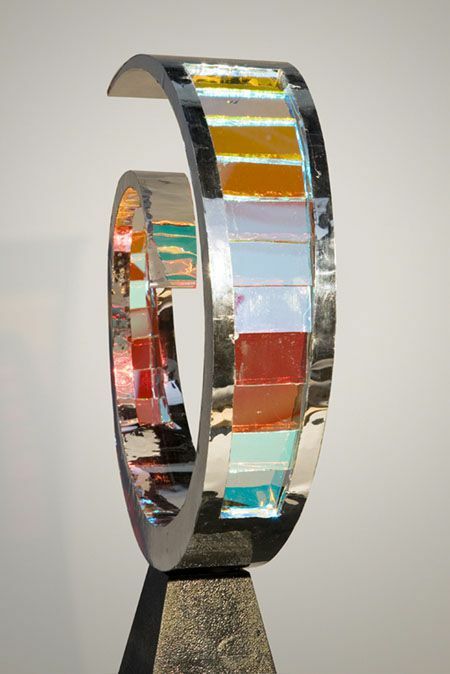 The dichroic glass installed as overlapping fins is reminiscent of the scales of a fish.